Home › Bracelets › Chinese elasticated bracelet. 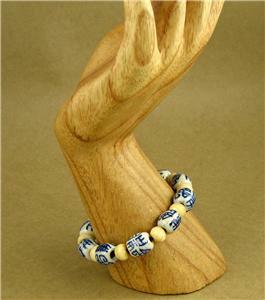 Ceramic / bone beads. Designer handmade. 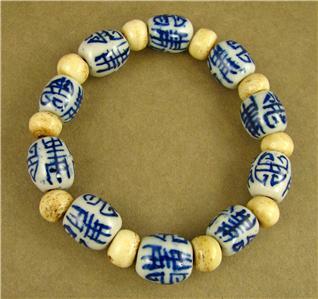 Chinese elasticated bracelet. 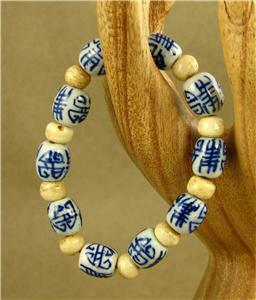 Ceramic / bone beads. Designer handmade. 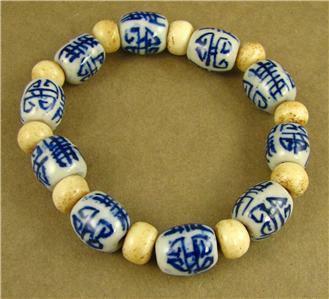 This is a striking chinese character ceramic elasticated bracelet. The ceramic beads are chinese. 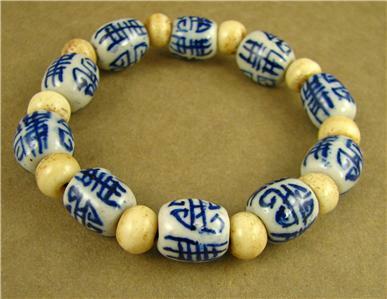 The cream beads are tibetan beads made from buffalo bone. (water buffalo who die naturally. Inside is a double elastic, so it is very strong and won't become floppu over time.